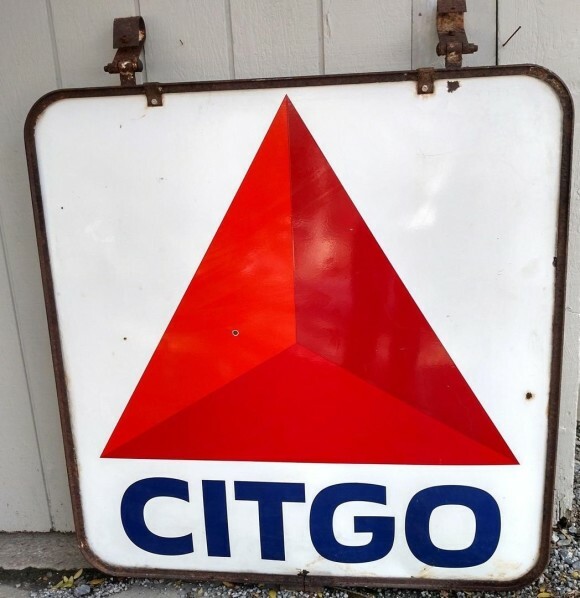 This 48″ by 48″ Citgo Gas station sign shows the classic large red triangle in the center of the sign. The particular example used above still has the mounting brackets that would be attached to hang this sign. The word “Citgo” appears at the bottom in blue lettering. The rest of the sign is white.